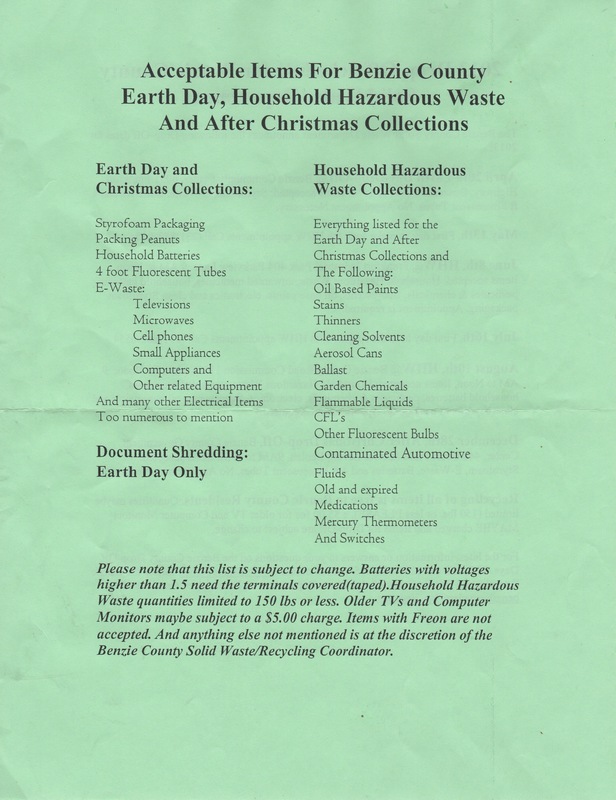 Hey, people with Hazardous Household Waste! Come out of your dark corners and show your faces. Having oil based paints, stains, thinners, cleaning solvents, aerosol cans, ballast, garden chemicals, flammable liquids, CFL’s, other fluorescent bulbs, contaminated automotive fluids, old and expired medications, mercury thermometers and switches is nothing to be ashamed of. 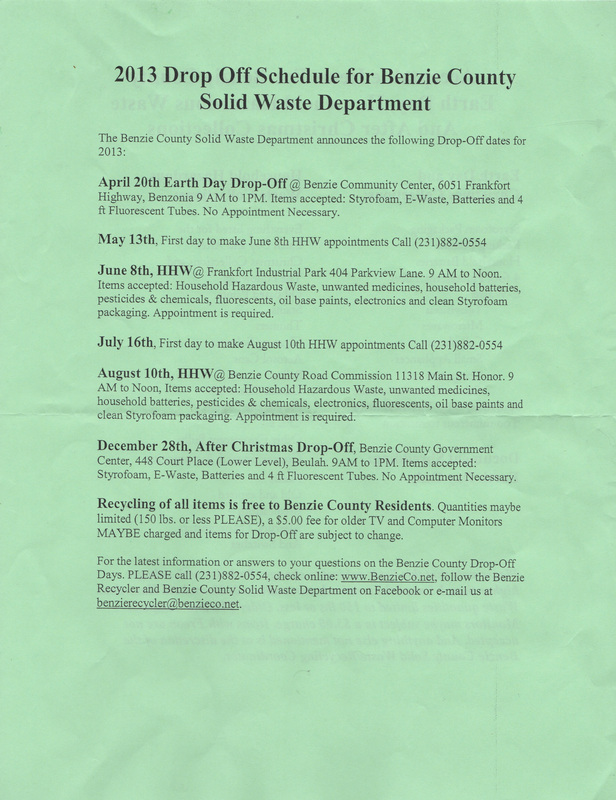 Today is the first day to make appointments to dispose of these items on August 10. Call 231-882-0554. You’ll hear the outgoing message of Kathy Ralston, interim recycling coordinatrix.